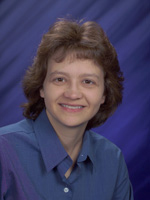 Dr. Katrina Waters, a senior research scientist at the Pacific Northwest National Laboratory, has been appointed to the Editorial Board of Toxicology and Applied Pharmacology for a three-year term beginning July 1, 2008. The toxicology journal publishes original scientific research pertaining to action of chemicals, drugs, or natural products to animals or humans. Dr. Waters is currently involved in the Systems Toxicology of Nanomaterials focus area of the Environmental Biomarkers Initiative and the PNNL Center for Novel Biomarkers of Response. Her research includes biosignature discovery from integrated microarray and proteomic data describing lung inflammation from nanoparticle exposure and environmental exposures, including disease susceptibility factors. Dr. Waters joined PNNL in 2004. Prior to that, she was a senior research biochemist in Molecular & Investigative Toxicology at Merck Research Labs in West Point, PA.